An ongoing mini-series for Gibson.com, Legends of the Les Paul celebrates great guitarists who made specific Les Pauls their passion, merging artist and instrument into the creation of legendary music. Looked at from one angle, the main Les Paul in question here first achieved its own legendary status in the hands of Fleetwood Mac-era Peter Green. 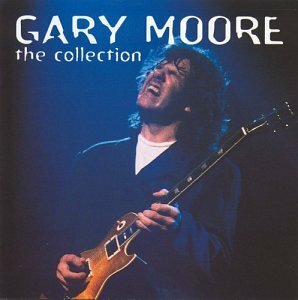 But its second prominent owner, Irish guitarist Gary Moore, was himself a prime exponent of sizzling British blues-rock Les Paul tone, and he certainly earned his spot in the pantheon of Les Paul greats. That, and it’s rather fascinating to track the travels of a single Les Paul that made legendary music through the course of two iconic owners. From his days with Skid Row and Thin Lizzy, to his incendiary solo work, Moore produced some of the most electrifying performances known to stage and studio from the mid ’70s onward, evolving from straight-on rock to encompass the torch-bearer of British blues rock. Notably more gained-up and over-amped than the blues-rockers of the mid to late ’60s, Moore’s Les Paul style was typified by wide bends and near-endless sustain, a voice probably best exhibited on his instrumental hit “Parisienne Walkways.” Often the cornerstone of his live show, that note—the long-held bend that sustains into an emotive resolve—even became something of a cliché for the player himself, perhaps typifying an over-cooked style that the guitarist was trying to move away from. Gary Moore purchases his most famous ’59 Les Paul from Peter Green in the mid 1970s, some years after Green had retired his position with Fleetwood Mac, and virtually abandoned guitar player altogether. While Green’s playing had embraced the subtlety and nuance of which a great Les Paul is capable, Moore’s arguably typified the power and punch that is more commonly associated with “the Les Paul tone.” He also acquired a second ’59 Burst that was frequently used for recording and touring. The legendary Moore/Green ’59 Les Paul was sold at auction in 2006 for more than $2 million. 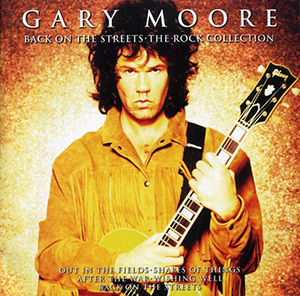 Gibson produced a Gary Moore Signature Les Paul Standard around 2000-’01 (with a faded lemonburst finish and a reversed neck pick, a mod undertaken during Peter Green’s ownership), as well as a modified Gary Moore BFG Les Paul with a P-90 in the neck position. Moore died of a heart attack believed to have been induced by excessive drinking on the evening of February 6 2011. He was 58 years old.